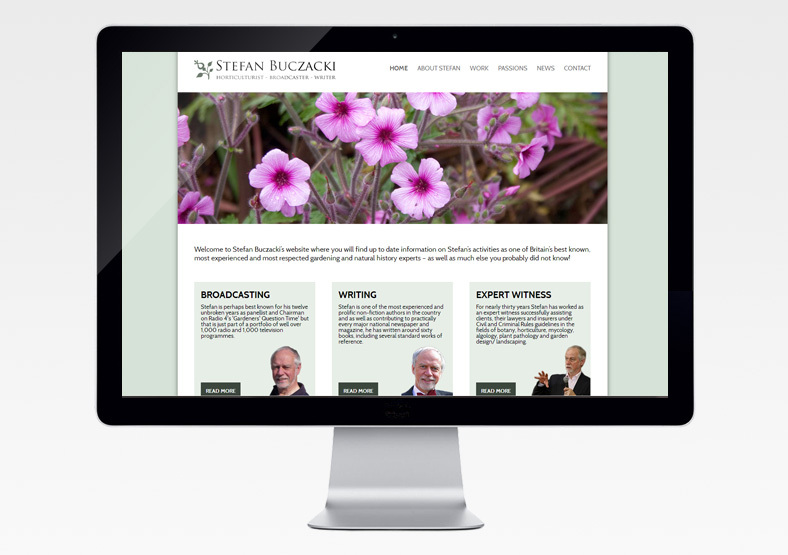 Well-respected horticulturist and botanist Professor Stefan Buczacki approached us to create a new online presence for his brand - the brand being himself! 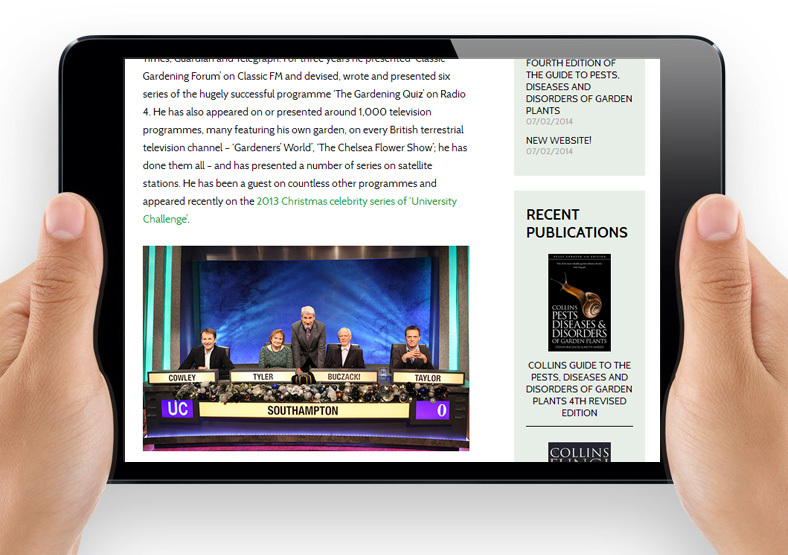 Professor Buczacki's broadcasting work includes twelve years as a panel member and chairman of Gardeners' Question Time on BBC Radio 4. He has appeared frequently on British television, including Gardeners' World on BBC 2, and is the author of nearly 60 books. His existing website was outdated and no longer reflected his widening interests and services. Professor Buczacki required a website he could update himself with news and blog posts, so we built a site on the WordPress platform. 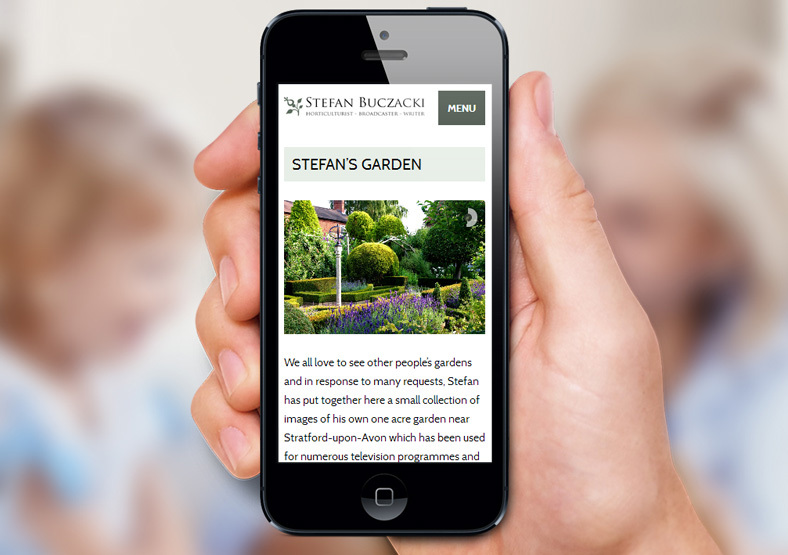 We designed a clean, clear website which is easy to navigate with obvious signposting. We built it to be responsive, so it can be easily viewed and navigated on a wide number of devices. The clear links to Professor Buczacki's 60 publications on Amazon allow fast click-through to purchase. Throughout the build, we paid close attention to SEO, using techniques to improve the site's ranking on Google. Within five days of the site's launch it was at number two on Google for the search term 'Stefan Buczacki', after Wikipedia.